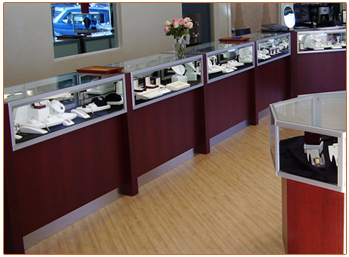 An upscale jewelry store. Dummy fillers between showcases create the dimensional design. Aluminum laminate on flush toe kick matches extrusions on modular.